A world-famous court composer during his lifetime, Agostino Steffani was also a significant influence on the likes of Handel, J S Bach and Telemann, but his music fell into neglect after his death. 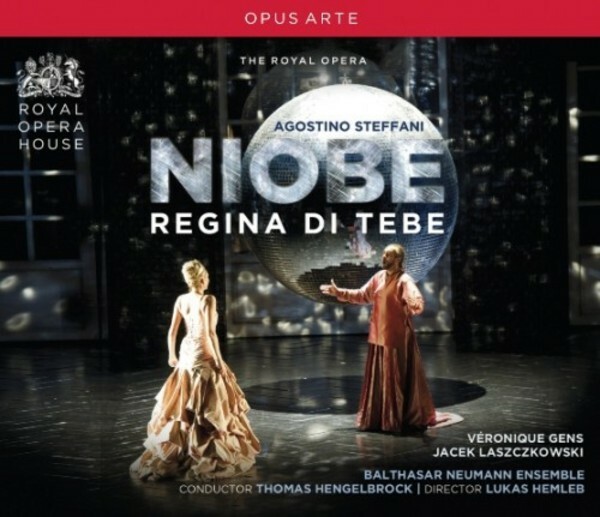 Thanks to conductor and Baroque specialist Thomas Hengelbrock, Steffani's musically rich and emotionally intense fifth opera Niobe, regina di Tebe, was revived in 2008, and is heard here in The Royal Opera's acclaimed 2010 production. With a 'delectable' and 'seductive' performance from Veronique Gens as the proud queen who is punished for defying the gods, supported by male soprano Jacek Laszczkowski, who 'thrills with his astonishing power at the top of the voice ...[giving] an exciting approximation of what the castrato could do' (Independent), this recording does full justice to Steffani's forgotten masterpiece.